The Time Machines™ collection offers watches just for kids that have easy-to-read dials, adjustable nylon bands and are 30 meter water resistant. This unique purple space-dye athleisure design will match any child’s personality! 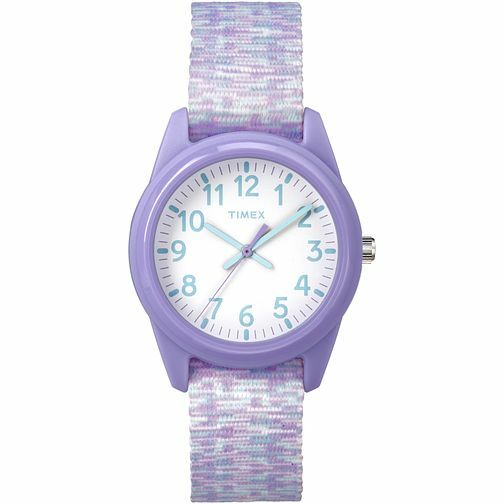 Timex Time Machines Children's Purple Nylon Strap Watch is rated 4.0 out of 5 by 1. Rated 4 out of 5 by Anonymous from Good watch, clear face. Grand daughter delighted with this watch. I would purchase similar items.